A luxurious, full body, powered massage system ergonomically situated within a pod of thermal active energy creates a revitalizing, rejuvenating and relaxing experience for the mind, body and spirit – Enter the Cocoon Wellness Pro. Whether you have just made the commitment to improve your health and the way you look and feel – or seeking to achieve the next level in your quest for peak performance, the Cocoon Wellness Pro offers a myriad of physical and psychological benefits. Thermal energy, created by the heating of the Tourmaline, Jade and Germanium stones that align the inner walls of the pod, emit specific radiant wavelengths - generating negative ions that help facilitate the flow of the body's bio-energy. While enjoying the encapsulating warmth and radiant energy within the pod, you can activate the Cocoon’s full body, dual wave massage lounge. Synchronized multiple vibration transducers located under the lounge can be controlled by the user to achieve the desired level of soothing and invigorating massage. The transducers pulsate in variable surges from a light touch to deep penetration and can target the upper, lower or full body. Ergonomically designed to ensure even weight displacement and eliminate pressure points, the padded lounge creates a feeling of ‘floating on air’. The heated back and thigh pads contribute to the effectiveness of the system. The entire Cocoon experience is further enhanced as you breathe refreshing, cleansing salt-air created by a pure, Himalayan Crystal Salt Block situated directly in front of the air intake system. This helps the body’s natural ability to breathe deeply and promotes the body’s own natural relaxation response. For added pleasure and relaxation, you can also enjoy the benefits of Aroma Therapy via pure essential oils. Simply apply a few drops of your favorite scented oil to the specially designed aroma card and place in the air intake system. Independent nebulizers allow users to control delicate bursts of aroma therapy. The Cocoon Wellness Pro heats quickly and efficiently from room temperature to a maximum of 180 degree Fahrenheit. Easy access, fingertip controls allows you to adjust the internal temperature and air flow as you desire throughout your session. The thermogenic effects of a 25-30 minute high-heat session include the burning of up to 300 calories and sweating off up to one quart of water (2 lbs.). And while water weight loss is temporary, the flushing of toxins from your system and then replenishing and rehydrating your body with pure, clean water after each session will help create a healthy cycle of detoxification. This will lead to the reduction of impurities in the system, help break up body fat, improve metabolism and lead toward achieving permanent weight loss. The Cocoon Wellness Pro operates on standard electric and plugs into a 120 volt / 20 Amp wall outlet. Dimensions are Length: 91"; Width: 38"; Height: 46". Weight is 275 lbs. and can easily be assembled in less than 20 minutes by two adults. 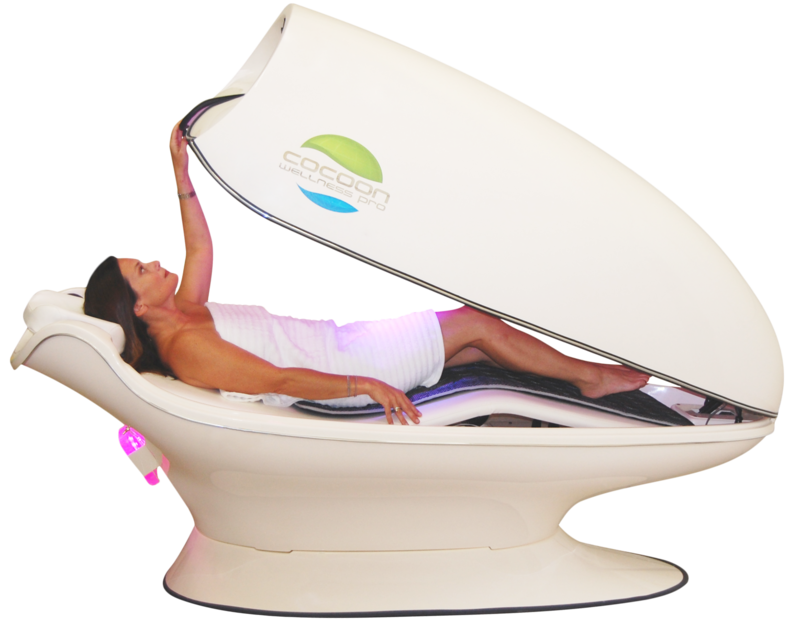 The Cocoon Wellness Pro is the perfect addition to beauty salons, tanning salons, spas, fitness, wellness, massage and weight management centers. 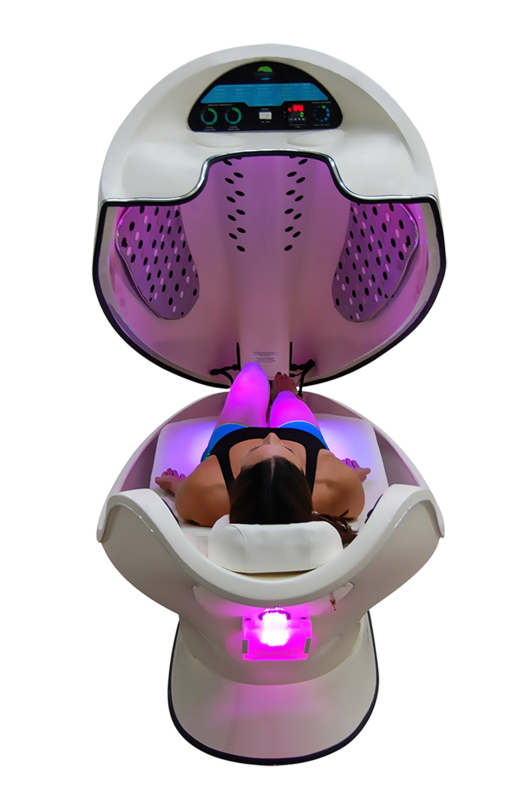 The Cocoon Wellness Pro sells for $9,995.00 plus shipping and sales tax. Financing is available to qualified commercial customers with payments as low as $199.00 per month**.